Vineet Singhal has been Country Head of Shire India (Baxalta Bioscience India Pvt. Ltd.) since Dec 2015. Vineet is responsible for expanding the organization’s footprint in the country and has played an important role in continued growth of India operations across the four therapeutic areas of Shire: Rare Diseases, Hematology, Immunology and Oncology. Vineet Singhal brings years of strategic, business and operational acumen to the company, with a vision to take Shire to new heights, both as a leader in the industry and a provider of unique healthcare solutions to patients in India and around the world. Vineet Singhal comes with a rich experience of over two decades in the healthcare industry with proven track to deliver consistent growth in significant change management and cross-cultural environment. 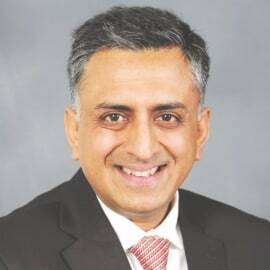 Before Shire, he has held key leadership positions, including Managing Director at GlaxoSmithKline Consumer Private Limited, and Operating Unit Head – India and South East Asia at Novartis Consumer Health. At Novartis Consumer Health, he has held roles of increasing responsibility including strategic planning and business development. Currently Vineet is leading a Rare Disease taskforce within OPPI (Organisation of Pharmaceutical Producers of India) with the aim to garner cross industry support to enhance the cause of patients suffering from rare diseases and highly specialized conditions. A British Chevening Scholar, Vineet Singhal is a graduate in Business Administration from Cranfield School of Management, UK and holds a Bachelors in mechanical engineering from Delhi College of Engineering, India. His passions away from work include traveling, high altitude trekking and music.